Today you will be hard-pressed to find an enterprise application that does not rely on distributed messaging and service-orientation. Client applications such as rich clients, Rich Internet Applications (RIAs) built with Silverlight or some flavor or AJAX, and those targeting mobile devices all access resources via services exposed to the intranet or Internet. Oftentimes the middle tier also includes layers of services living in the DMZ or behind it. There are many possible security models available for scenarios involving the various client technologies and service tiers – and Windows Communication Foundation (WCF) supplies the tools necessary to implement each and every possibility. In this session, you will learn the most common and practical security scenarios that involve WCF services within the intranet or exposed to the Intranet including classic Windows security, username and password, certificates, federated identity, REST-based and securing calls between tiers. The session will also discuss scenarios that can benefit from aspects of Windows Azure platform including AppFabric Service Bus and Access Control – such as for securing services behind the DMZ and enabling federation for REST-based services. All examples will cover requirements for the client and service, give you a formula to achieve each scenario, and show you custom components that simplify implementation. You’ll leave this session with a recipe for the most common security scenarios including sample code to get you on your way. AppFabric Access Control is a feature of the Windows Azure platform that makes it easy to secure web resources such as REST-based services using a simple set of standard protocols. In fact, AppFabric Access Control uniquely facilitates several scenarios not previously possible including a standards-based mechanism for securing web resources, identity federation for REST, and secure calls from Silverlight and AJAX clients to web resources including REST-based WCF services or REST-based MVC implementations. In this session you will get a tour of the AppFabric Access Control feature set and learn how to implement these key security scenarios with the help of some custom tools that encapsulate common functionality exposing a simple object model for working with the protocols underlying Access Control. In addition, you will learn how to integrate typical Windows Identity Foundation (WIF) authorization techniques such as ClaimsPrincipal to decouple the authentication and authorization mechanism from the business logic. Data Tier Applications or DACs (yes we know that DAC doesn't stand for Data Tier Application, but there already was a DTA) are a new way to think about and manage your databases. Instead of thinking of a database as just a database you can now manage your databases as applications setting usage thresholds based on the application needs for alerting and monitoring. Along with this comes the DACPACs. The DACPACs is designed to provide developers with a quick and easy way to deploy applications into production without the need of the DBA, or when there is a DBA to give the DBA a simple change script which can then be used to push the Data Tier Application into Production. In this session we'll demo the Data Tier Application, the DACPAC and talk about the pros, cons and shortcomings. One of the ways that .NET developers can deploy databases to SQL Azure quickly and easily is by using a DACPAC. This is a new feature which is being introduced in Visual Studio 2010 and SQL Server 2008 R2. This allows you to create and manage your database schema, stored procedures, etc within Visual Studio as part of your .NET project and deploy it easily to the Azure cloud. There's more to know about storage? That's right there is. As a followup session to the "Storage for the DBA" session which I’ve done at a few code camps now. This time we will broaden the look to cover some of the different options that different storage providers are using to design their storage; as well and the pros and cons for each of these. From there we'll move into some of the more advanced features you can use with storage arrays that turn the from the large JBOD that most people think of them into advanced storage devices worth every penny that they cost. In this session we'll look at tools to improve productivity with asp.net mvc. We'll explore using T4 templates to create custom templates and to provide better separation of concerns. We'll also look at a few diagnostic tools to aid debugging. In addition, we'll go over some useful libraries that add new functionality to asp.net mvc, such as an advanced grid control and more. PowerPivot gives users the power to create compelling self-service BI solutions, facilitates sharing and collaboration on user-generated BI solutions in a Microsoft SharePoint Server 2010 environment, and enables IT organizations to increase operational efficiencies through Microsoft SQL Server 2008 R2-based management tools. In this session we will walk through the concepts around PowerPivot and where it fits in your organization and then dive into some of technical details about how the technology works through demos of the technology. In this open session, we’ll introduce RAD MVC CodeCamp server. This open source server is built ground up to provide everything the current ASP.NET code camp website offer and much more. See how taking an agile approach, and leveraging latest .NET, MVC and Entity Framework brings together a feature rich product in no time flat! Help shape the future or this project. While most Android Phones are relatively powerful devices, writing a Web Service client for a small memory constrained device requires some careful consideration when it comes to selecting the right framework and tools. We will use one of the fasted binary web service protocols to exchange objects between client and server, without requiring a large framework. This is not your typical Android 101 talk but even if you haven't done a lot of Android or Embedded Programming yet, this should still be a lot fun. This session introduces custom application development on the Salesforce.com platform using Apex and Visualforce to present common problems and solutions. The session will also introduce some of the latest Apex features and a small discussion about the future of Apex development in regards to Java development and Salesforce.com recent partnership with SpringSource. In this talk I will cover everything you need to know about developing your sites and applications for search. Good SEO practices start at the beginning and so will we as I walk you through the process on developing an effective SEO strategy that will make you and your customers more successful. We will talk about coding practices, linking, advertising on other sites, using forums and blogs to improve your ranking, and how to monitor it all. If search matters, you don’t want to miss this talk! Patterns emerge as both templated solutions to recurring problems and designs, as well as provide useful ways to encapsulate complex ideas into smaller, friendlier terms. Patterns gained popularity in the object-orientated community since the Fowler and the Gang Of Four, but declarative languages, like SQL, have had little-to-no coverage of how these patterns can be applied. Understanding SQL design patterns is a crucial skill every SQL developer must learn and use in their career. SQL patterns can be applied to small projects or large, multi-million dollar systems, to provide common solutions to complex problems. Patterns create a foundation for "best practices" for SQL, Database Architecture, and well as management of SQL developers and DBAs. While this session will cover SQL mostly in ANSI, making it a "must-have" for SQL Server developers, Database Administrators, Oracle developers, and software managers. A development focused introduction to the structure of an SSRS installation and a tour of the elements used in designing a report. This session is going to take a look at some of Windows 7's new capabilities and features. The session will focus on Visual Studio 2010 and using it as well as leveraging things like Boot to VHD as a developer. In this panel discussion SQL Server experts/users will talk about several SQL Server topics. I’m pleased to announce a preview of the Reactive Extensions for .NET (Rx) on MSDN DevLabs. Download Rx Demos and Slides! Using Rx, programmers can write succinct declarative code to orchestrate and coordinate asynchronous and event-based programs based on familiar .NET idioms and patterns. Rx has a strong theoretical basis by using the duality between the classic Iterator and Observer design patterns to simplify controlling asynchrony. By combining the expressiveness of LINQ with the elegance of category theory, Rx allows programmers to write asynchronous code without performing cruel and unnatural acts. As the name implies, reactive programs react to changes in their environment. Traditionally, programmers use locks and event handlers to coordinate these changes. Rx models asynchronous computations and events as push-based, or observable, collections, thus expanding the scope of the standard LINQ sequence operators and extension methods beyond the familiar pull-based, or enumerable, collections into the realm of reactive programming. Too often at conferences all we do is talk about code. A coding dojo’s purpose is to skip the talk and have a common shared experience instead. During the dojo everyone takes a turn coding. Are you happy at work? Are you proud of the code you are working with? Do you live day to day with messy, hard to understand & hard to change code? Do you feel helpless in changing it. Too hard? Not enough time? or simply don’t know where to start? The long term benefits of working with quality code are almost too numerous to list. This session will take a piece of legacy code and then journey through the many small steps to gradually clean it. As we go understanding & quality will emerge. -Using derived tables and keyboard shortcuts..
-Filtering records using WHERE and HAVING. -Common pitfalls that trip up even advanced developers, like bad joins and NULL columns. -Cool functions, like those that help us deal with dates. This session will cover SQL Server Analysis Services (SSAS) Planning & Implementation, with an emphasis on “Planning” and a glimpse into the future of Microsoft BI from the speaker's perspective. Are you bored at work? Is your Agile team devoid of fun? It could be that you are following the mechanics of your process, but missed out on the critical insight, the "ah-ha" moment, where everything clicked and it all fit into place. Come to this session hosted by Carlton Nettleton and he will demonstrate as many Agile principles and practices he can in 60 minutes through a variety of short simulations and games. Walk away energized and excited about working on an Agile team. Every time I speak about Agile software development, I often hear this statement, "Agile teams never know when they are going to be done." With the teams I coach, this is not the case. Come to this workshop and we will walk through the steps I use when planning an Agile team. Learn the practical tools and techniques for estimating, planning, reporting progress and keeping the stakeholders in the loop. Whether you are involved in a strong vibrant community or want to start one we can all share our experiences. Here are some of the topics that we will cover. SQL Server 2005: Importing data from Excel- First the hard way then the easy way. If you find yourself needing to convert data from Excel to SQL Server then this session is for you. I used to use the import wizard to import worksheets of data from Excel to SQL Server...I used to think it was the coolest thing...but not anymore. It was taking me a long time to define the source data, then the destination, then the mapping...lots of clicking- click, click, click. Then I came across this "secret" script that grabs the data that I want from a specific worksheet in Excel. I don't have to click, click, click anymore. What are the ins and outs of running your enterprise applications and databases in the Windows Azure cloud? We will look at architecture, best practices, examples, and stories from the trenches. You'll also find out how to monitor and manage your cloud applications. We'll also cover how to determine the costs of running in the cloud and the ROI of migrating existing applications over to the cloud. Let the new technologies handle the "heavy lifting" leaving you with cleaner, more practical, more efficient code: Build Fluent Interfaces, use more of LINQ's power, leverage Reflection. With modern C# techniques you'll write less (but better) code and get more done. Learn to engage first year programming students using free courseware developed via a new teaching method. Llewellyn and Lynn have created and tested a set of reusable, gender-neutral, lesson (recipe)-based courseware. In this hands on session, you'll learn to teach by being a student. Code like a 5th grader! Using their intentional teaching method (based on the best of Agile practices and more), they have successfully started hundreds of kids (ages 10 and up) programming. If you want to get started BEFORE the session, check out the resources at www.TeachingKidsProgramming.org, download SmallBasic and the extensions from Codeplex and try it out our recipes. Exploring Team Build based on Workflow 4.0 in Visual Studio 2010 ALM. With Visual Studio 2010 Application Lifecycle Management, Team Build is based on Workflow 4.0. In this session we’ll explore what Workflow adds to make a better build experience and show you how you can customize the workflow to suit your specific automation needs. Scrum is an increasingly popular agile framework for managing software development. Can Scrum help you deliver successful projects? You first have to understand the fundamentals of Scrum. This session will pragmatically explore using Scrum. We'll talk about what how to get started adopting Scrum, what kinds of organizational commitments are needed and how Scrum works with Visual Studio Application Lifecycle Management. Scrum is incredibly simple on the surface but touches profoundly on people, process and technology. What should you expect if you do it right, and what if you don't? Join our discussion and see if Scrum may be right for you. It all starts with understanding the Scrum Fundamentals. Lets be honest most of us know what MVC is by now, and how to use it. But some people might not know one of the biggest reasons to use MVC is because of its style of dealing with Ajax. But going outside of the tried and true methods of WebForms will requiring some breaking of the mold. We have to get back to basics on how to we commit a huge list or a sublist to a database. Or how do we create a Controller that reads and outputs JSON? Because after all there are reasons why we are dumping ViewState for this.Join me in this 45 minute discussion on some pit falls of getting up to speed with MvC and Jquery. We will start with a simple example and go from there, the goal will be to show you how to deal with list collections and sub list collections. We will go over some of the new futures of Asp.net Mvc 2.0 on our way to making a small little app that utilizes jquery and ajax to create a seamless web 2.0 like app. I found Tom Limoncelli's book on Time Management to be really useful and I wanted to share the content with other interrupt driven and customer centric programmers that might otherwise skip the book given its title. This session will focus on a method of daily prioritization of tasks and scheduled events using his Cycle System. I use a pad of paper but digital devices are allowed. Other time management issues such as prioritization, email management, eliminating time wasters, and automation will be discussed. I will use the book and my experience as a starting point for the discussion. The hope is that audience members will also provide feedback on their systems, tactics, and tricks to make all of us more productive so we can focus on our important things, at work and in life. This session will be more in depth than part one and cover more of the application fundamentals for building a real-world android app. We will build a sample application so attendees can get a real sense of how android apps are built. Starting w/ the preferences screens, we'll see how easy it is to give custom preferences to your apps. We'll then move on to see how Lists are handled in android. I/O & Persistence will show you how to store data to the SD Card, whether it be simple file I/O or using a local SQL Lite database. All of these topics will be using the application context, so throughout the session we'll keep coming back to that. View more presentations from Ben Monro. The official Rx definition can be scary: Rx is a library for composing asynchronous and event-based programs using observable collections. Once you understand the basics you will see how much easier is to handle complex event scenarios. You will never write client-code the old way. In this demo-filled session, Lynn will explain the differences between Windows Azure storage and SQL Azure. She wil demonstrate working with SQL Azure storage in your application and discuss the option to connect a non-cloud hosted front end and/or a cloud-hosted front end to a SQL Azure back end solution. Lynn will also talk about migration strategies and best practices. In her talk, you wil also learn recommended business scenarios for cloud-based storage. Finally, she will cover in detail features of SQL Server RDMS which are and are not supported in SQL Azure. 10. Creating documentation via Microsoft Word. This presentation will allow to you see, and follow along if you wish, a Sketchflow Prototype application being built from soup to nuts! The source code will be available directly after the presentation. In this session I will demo how to use some of the new features of Silverlight 4. Specifically, I will show how to use the Webcam API, how to build and Out Of Browser Silverlight application with Elevated Trust and then how to use the new COM Interop API to have the Silverlight application launch Microsoft Word and populate a new document with data from the application. Watch me show you how to use these features as I develop right on stage! Source code will be made available directly after the demo. Tell me about your self....how to write a compelling elevator pitch about yourself. This will be a working session where you will learn how to write your elevator pitch. If there is enough time you will practice giving it and getting feedback that you can use on your next real-life job interview. Bring a laptop or paper to work on your pitch. RIP Job Boards - using social media to find your next job. I have not used a job board to find a candidate in over 2 years but I have hired over 50 people in the last 10 months. In this session you will learn how and where recruiters are looking for candidates. We will cover social media sites, personal blogs and webpages, alumni and affinity sites, and other places you never even considered that we may be looking at to find you! 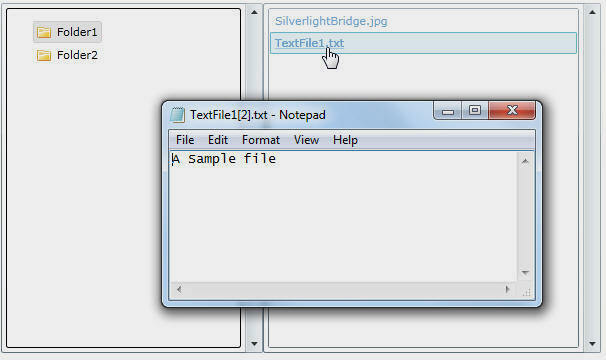 How to develop better looking applications in Silverlight 4 to light up the web. In this market bringing a good looking RIA application to the web faster than the competitor is the only way to give you a chance for people to use it. Do it better first and do it right is most important. By using the best quality controls out there to get your job done gives you an edge and allows your developers to concentrate in the business logic of the application. This presentation will show the best practises and frameworks to use to release a great looking Silverlight 4 application as well as not sacrificing performance. This presentation covers SharePoint 2010 Business Intelligence related technologies including the Chart Web Part, Business Intelligence Center, PerformancePoint, Reporting Services, Report Builder, PowerPivot and Business Connectivity Services. All too often I get a request for "make a Facebook for X" or "Chatroulette but with Y". The goal is to crash course non-technical or semi-technical types in BDD/TDD and programmatic methodologies, so they both understand what a developer is producing and can understand the vernacular for expressing their idea in developer speak. We'll talk about the common misconceptions of development and where projects go wrong. We'll also talk about BDD and TDD, tools that are tremendous in helping to understanding what the software is supposed to do and what it actually does. We'll take a sample project from the audience, spec it, and write in in Rails on the spot. Get a whiff of WIF! The Windows Identity Foundation (WIF) makes it easy for web applications and services to use the modern, claims-based model of identity. This model allows you to factor authentication and many authorization decisions out of your applications and into a central identity service. This model makes it much easier to achieve Internet-friendly single sign on. It also makes it easier for your application to receive richer identity information, and paves the way for identity federation, should you ever need to integrate with another organization or another platform (Java, for example). This talk will focus on the concepts behind claims-based identity and how they are realized under the WIF programming model via IClaimsIdentity. In this session we'll explore some of the new features offered in ASP.NET 4.0. This includes routing, session state management, client side development and many other topics. Did you know that ASP.NET has a powerful URL routing framework built into it? This talk explores the ASP.NET Routing system and how to use it to create SEO-friendly, human-readble URLs in both MVC and Web Form applications. This talk is recommended before attending Scott's Getting Started with ASP.NET MVC presentation. So you've been tasked with creating a custom web part for your new SharePoint 2010 installation... where do you start? Come get pointed in the right direction. Learn the fundamentals on working with the XML data type in SQL Server. This session will introduce the XML data type and the value, query and nodes methods to retrieve data from an XML typed variable or column. The session will also introduce the basics of inserting, modifying and deleting data from an XML typed variable or column. A beginner's instoduction to how to use the free GIMP program to process photos. SSIS Packages have an extremely flexible configuration model that makes it possible for packages to behave differently as they move through your dev, qa, and production environments. In this session well cover how to use package configurations to get the most out of SSIS. Silverlight 4 just came out. Whether you are a seasoned Silverlight Developer, or just looking into it, this session will help you get a better grip on the various tools and technologies for getting data to and from your Silverlight applications. WCF, RIA Services, WCF Data Services, LINQ, LINQ to SQL, Entity Framework, OData, we'll talk about them all, and put them in their place. If you have been to this talk before, come back. I'll have more concreted demos to show. Learn how to use the new Expression Blend for Windows Phone, and Visual Studio 2010 to develop Silverlight applications for the Windows Phone 7 Series! Seriously, this is cool. If you are an existing Silverlight, or even WPF developer learn how easily you can transfer your current skills directly over to developing applications for Windows Phone 7. If you are looking to get into Silverlight for the first time, this session will show you what a great investment it is. The session is about domain driven development. It seems most ORM frameworks being out there do not really solve the abstraction problem between the two as these are table centric. Do such really follow SOA principles when it comes to treating the db? Empower your next project with... server side ORM. Tip: client side here is your .NET app. I will let you deeply rethink what you've done so far. Making software is in many ways similar to making a movie. You bring together a bunch of talented people use to dealing in abstraction and accustomed to working with complex technology with the purpose of making a product that satisfies the needs, desires and expectation of the viewing audience. Yet, while most filmmakers can deliver on time and on budget, those is the business of software development seem to fall short. In this presentation Bob Reselman shows you how to map the practice and discipline of filmmaking onto the software development lifecycle so that you can have an easier time delivering software that delights your users and meets your budgetary constraints. Web Client Software Factory is a Microsoft framework for ASP.NET developed by Patterns and Practices team. It allows architects and developers to quickly build large enterprise web applications that utilize best practices and proven design patterns. Composite web client application block gives multiple development teams opportunity to efficiently work together on a single solution and take advantage of continuous integration. WCSF is different from ASP.NET MVC: it is based on a proven WebForms technology, with its view-state and postback model. However, it achieves the same goal - allows us to build testable web applications - by applying Model-View-Presenter pattern. In this session, we will discuss various pieces that comprise WCSF: application blocks, web controls, Visual Studio guidance packages. We will review and illustrate most important design patterns supported by WCSF, as well as the specifics of using the framework with ASP.NET mobile web forms. This talk demonstrates how the REST model in WCF has evolved. It explains how the newly rebranded WCF Data Services uses WCF underneath the covers, and how to take advantage of that fact to customize your data service. It then discusses what WCF RIA Services adds on top of WCF Data Services and when to use one versus the other. Assumes a basic level of understanding WCF. Demos throughout. Learn how to build real world nTier applications with the new Entity Framework and related services. Make sure to attend Part 1. This second part to the series will focus on using the Entity Framework in an nTier/ SOA world by separating out the different layers using T4 templates and using the new WCF Data Services to easily expose entity models via REST and to Silverlight clients. Lots of code! Learn how to build real world nTier applications with the new Entity Framework and related services. With this new technology built into .NET, you can easily wrap an object model around your database and have all the data access automatically generated or use your own stored procedures and views. Then learn how to easily and securely expose your object model using WCF with just a few line of code using ADO.NET Data Services. The session will demonstrate how to create and consume these new technologies from the ground up. Lots of code! This session will instruct any level of programmer on how to easily use tracing that is built into .NET to log and analyze Exceptions and events that occur during application runtime. This is invaluable to fix bugs that only happen while the application is running. .NET TraceListeners will be discussed in detail along with how to write your own custom TraceListeners. I will also discuss and provide code for my centralized exception/ event logging system that allows applications at customer sites or on multiple servers to log to central database. Developers or technical support personal can then view these entries via an ASP.NET web site. The use of joins in writing effective SQL code is an essential and often overlooked skill. This session will focus on the full range of options available (Inner, Outer, Cross, Apply and others) and looks at how the SQL engine implements them. At the end of this session you will know your all of your options and have the tools to determine when your joins are optimized. After attending From CodeMonkey to CEO - Part One, this is the session to ask about your business ideas. Two guest speakers to discuss FREE resources, SBA programs, financing, and other DO's / DON'Ts. One day you look up from your power coding session and realize that life is passing you by. It's time to wake up. When and how do I make my next job move? I'm offering to start with a 10- to 15-minute presentation of my experiences with pair programming going back 10 years, including early successes with regular day-long remote pairing sessions between Irvine, CA and Tucson, AZ back when Extreme Programming was new and other people were still struggling to get pairing to work colocated. I'll then open up the floor for a roundtable discussion. My presentation will cover the payoffs and drawbacks of pairing, issues about adopting pair programming and overcoming objections, techniques and protocols for getting the most out of pairing, and when pairing is appropriate and when it's not. In the discussion that follows, I'll be especially anxious to see if I've addressed all of your objections/concerns, and I'd also like to hear about your own anecdotes and observations (particularly if they extend to people pairing up on non-programming tasks outside of the dev team). 2. It is not about graphics design or learning Photoshop. Presentations will include some hilarious examples of design mistakes in products, software and advertising. Bring your own popcorn. In two sessions about Intelligent Design we will look at the UI/UX design in connection with the way human brain processes information. These sessions will reveal many things you already know subconsciously, but don’t really think about. You will understand why you like one UI and find another UI confusing. When you become aware of these simple perception rules, by extension you will instantly gain the capacity to produce better UI that is perceived favorably by others. 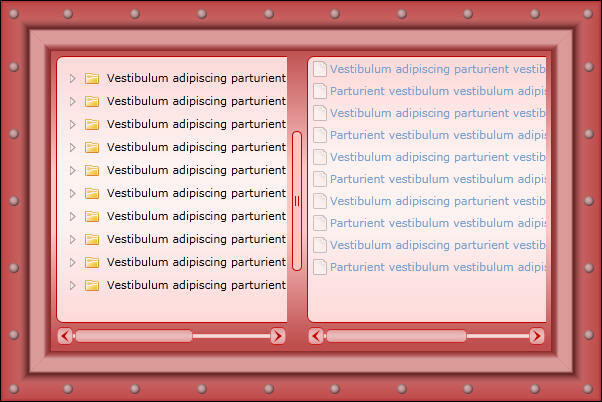 The List Box is probably one of the most flexible and useful controls in WPF. This seminar will explore the many different ways to display data using the List Box. You will see how to use styles to create horizontal lists, multi-line lists, and use data triggers to change the color of rows using data from your database. You will see how to present images in a list box, and how to format data using value converters. Learning WCF can be a little daunting. This seminar will make it very easy for you to learn the fundamentals of WCF. You will see a 2-tier application converted into a multi-tier, WCF application. Each step will be explained as to the how and why you need to do that step. You will learn where you should, and where you should not, use WCF in your applications. Data Binding in Silverlight is much more than just binding to data in a database. You will learn various methods of using data binding including binding to data in a database. You will see many examples of loading data into combo boxes, list boxes, and other Silverlight controls. You will learn how to populate Silverlight controls using a WCF Service. Confused about how to get started using Silverlight? Have you attended Silverlight sessions only to find out that they are doing all this graphics stuff and you need to write a business application? Well, this seminar will focus on Silverlight for the business application programmer. You will learn how to create a business application form using Silverlight. You will be given an introduction to XAML, where and why to use Silverlight and see an example of a standard data entry form. 5. Create a data entry form. A quick, practical introduction to multithreading. Take advantage of multi-core processors. Make your apps run faster. Get a head start on the forthcoming .NET 4's new parallel features. This session introduces multithreading and provides practical methods for using multiple threads in your apps, now. We assume only that your are familiar with C#. SQL Server Notification Services is the Microsoft SQL Server technology to develop, host, and deploy applications that generate and send notification messages to users. Notification Services can send from thousands to millions of personalized notification messages to multiple subscribers, which enables you to improve communication with customers, partners, and employees. The two main components of Notification Services are subscriptions and notifications. A subscription is a formal request for a specific event. Users subscribe to events. A notification subscription could be, for example, “Notify me when sales reach $100,000.” Notifications are what the subscribers receive. A notification can contain a web link, an acknowledgement of receipt, a personalized notification, and much more. A notification can be send to a myriad of devices, including an e-mail account, cellular phone, PDA, Microsoft Windows Messenger, and so on. You specify in the subscription whether a notification is sent when a triggering event occurs or is sent on a schedule. Notification Services is built on SQL Server 2005 and the Microsoft .Net Framework and provides a programming framework for easily developing and deploying notification applications. You can use Notification Services Management Objects (NMO) or XML to develop notification applications. In this session you will first see how to create Notification Services instances. Then, you will learn how to define Notification Services events and event providers and configure the Notification Services generator and distributor. After looking at how to test your Notification Services application, you will see how to create subscriptions and how to optimize your notification solution. Create Notification Services configuration and application files. Define Notification Services events and event providers. Configure the Notification Services generator. A database is really a complex group of objects – objects that retrieve data, objects that perform actions, objects that guard data, and so on – that work together to manage your data. As complex as they are, databases evolve. Applications connecting to the database will require additions and new features to address new business requirements. However, when you are making the changes, how can you be sure that you are not breaking compatibility with other client applications? How can you ensure that, by fixing some logic written in a stored procedure, you are not breaking the overall process that this single stored procedure was just a part of? The answer is testing. Testing provides the solution for evaluating how the database will behave after a modification has been made on the database. You can execute different types of testing on a piece of software, such as a database, depending on what you want to evaluate or find out about its execution, such as whether it behaves as expected, performs as expected, is a secure as expected, scales as expected, and so on. In this session, you will learn the key design practices for designing a unit testing plan for a database so that you can quickly pinpoint where to focus your attention when problems arise. A unit test plan is the building block for creating a performance baseline and a benchmark strategy. Design a unit test plan for a database. Asses which components should be unit tested. Design a test for query performance. Design a test for data consistency. Design a test for application security. Design a test for system resources utilization. Design a test to ensure code coverage. Read the article upon which this presentation is based here. Read the article upon which the presenation is based here. Build a Silverlight File Manager using "View Model Style"
The MVVM pattern allows a programmer to create an application that has absolutely no UI. The programmer only creates a ViewModel and a Model. A designer with no programming ability at all, is then able to start with a blank page and completely create the View (UI) in Microsoft Expression Blend 4 (or higher). This session grew out of a blog post I wrote that started out as a rant and became a list of specific tips to improve you interviewing value. Given the current economy I felt this would be a useful topic to discuss. I am interested in hearing your feedback as well (as interviewers or interviewees). I'm going to cover off my some of my experiences in running Pelotonics and TweetPhoto; what to do and what not to do. We're going to be exploring my theories of how to start a startup and what it takes from both business and technology perspectives. Let's build an asp.net mvc 2 application from scratch. Some of the best practices and features will be covered. We'll follow a test driven development approach and build unit tests along the way. In addition, we'll add some advanced functionality such asynchronous file uploads, model binding to a list and the ability to easily download excel files. We'll look at adding Ajax functionality using both the built in asp.net mvc ajax components and JQuery. ASP.NET MVC 2 RTM was recently released and it will be included in the upcoming Visual Studio 2010 release. Come learn about the new features and additions to the framework. This will be a code heavy session as we explore many of the new enhancements. Feel free to bring a laptop and code alongside. ASP.NET MVC brings the Model-View-Controller design pattern to ASP.NET. In this talk, Scott shows how to get started with ASP.NET MVC, explores how to create and use Models, Views, and Controllers, and walks through a creating a simple, end-to-end ASP.NET MVC application. If you are not already familiar with ASP.NET Routing you are encouraged to attend Scott's Take Control of Your Website's URLs with ASP.NET Routing talk. One of the biggest issues in database performance centers around storage. It’s also one of the hardest places to troubleshoot performance issues because storage engineers and database administrators often do not speak the same language. In this session, we’ll be looking at storage from both the database and storage perspectives. We’ll be digging into LUNs, HBAs, the fabric, as well as RAID Groups. In addition to theory, we’ll be looking at an actual EMC SAN so that we can translate what we see in the Storage Array with what we see on the actual server.